For my birthday last Friday, I recieved from my parents tickets to see 5 Seconds Of Summer next year along with their new album, Sounds Good Feels Good. I really enjoyed their debut album so I was very excited for the next. 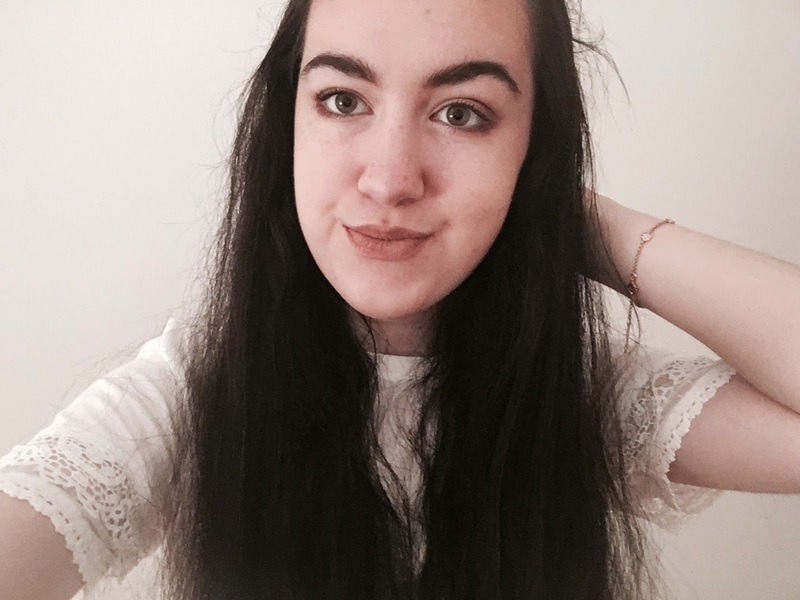 Sounds Good Feels Good is honestly one of my favourite albums. Ever. There isn't a single song I dislike and I think each song is amazing in its own way. 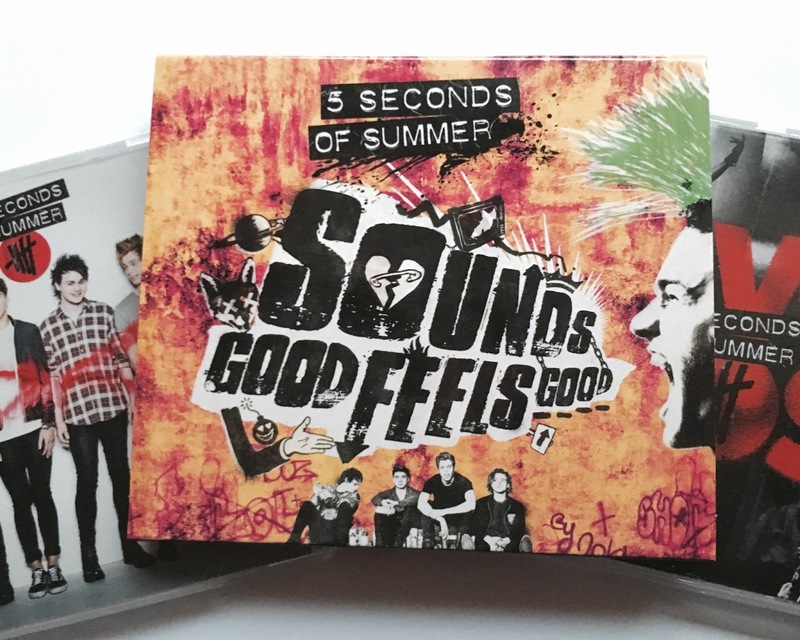 5 Seconds Of Summer's sound has definitely matured since their last album - in a good way. 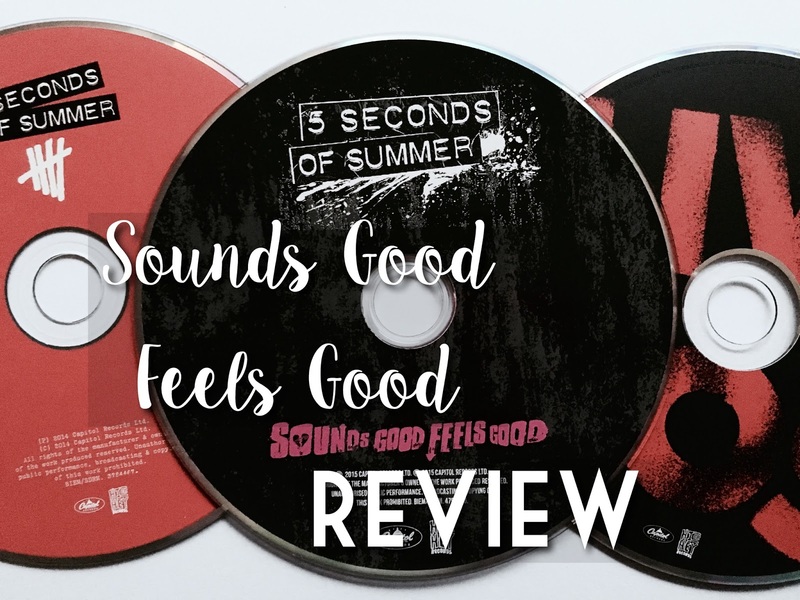 I think I prefer Sounds Good Feels Good to their self-titled debut, which says a lot because I love their first album; especially Don't Stop and Everything I Didn't Say. 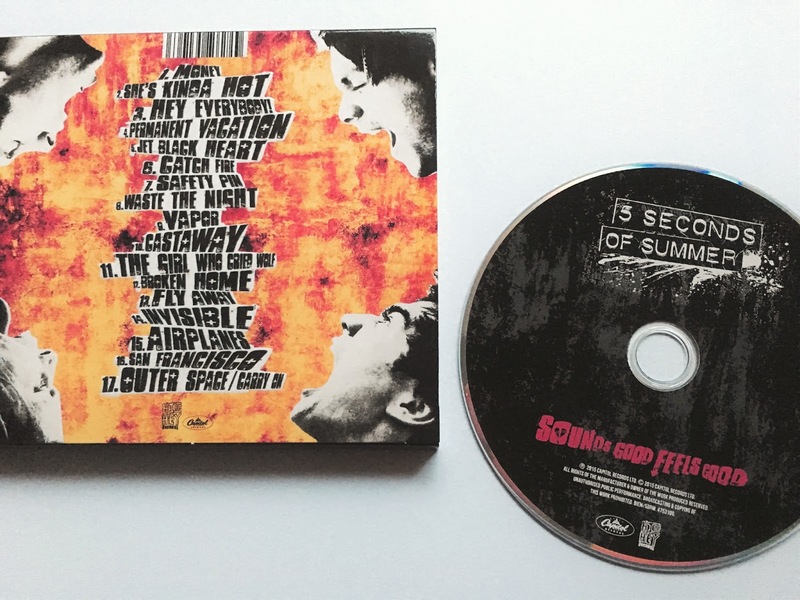 My favourite songs of Sounds Good Feels Good include Hey Everybody!, a feel good track which is also their latest single, Permanent Vacation - its super catchy lyrics "situation no motavation, destination permanent vacation" will be stuck in your head for hours, Jet Black Heart, a powerful song full of emotion and Airplanes, which is just truly incredible. Catch Fire and Vapor also deserve a mention, they blew me away at the first listen. The album features some faster paced, feel good (hence the name of the album) tracks such as Fly Away and Money, yet also has some amazing slower songs such as The Girl Who Cried Wolf. If you enjoyed Amnesia from the first album, you will love Invisible. Invisible reminds me a lot of Amnesia with its acoustic sound and powerful lyrics. Sounds Good Feels Good proves how talented 5 Seconds Of Summer are and I would definitely recommend this album to anyone.